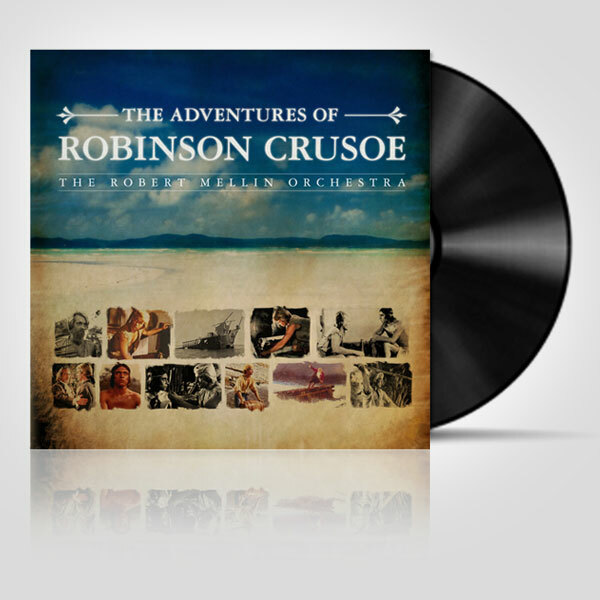 The Adventures of Robinson Crusoe – originally released as a limited edition 7 inch vinyl for Record Store Day 2012. Originally a French TV series based upon Daniel Defoe’s classic novel. The Adventures of Robinson Crusoe first appeared on UK TV in 1965, dubbed into English and as a 13 part serial. More noteably, the production was given a new soundtrack, composed by Robert Mellin and Gian-Piero Reverberi, the haunting theme tune for which has become one of the most successful pieces of TV music ever. It was recreated by Art of Noise in 1989, which introduced it to a whole new generation, but it is perhaps best loved in its original form. The full 28 track film score is also available to download from Silva Screen.